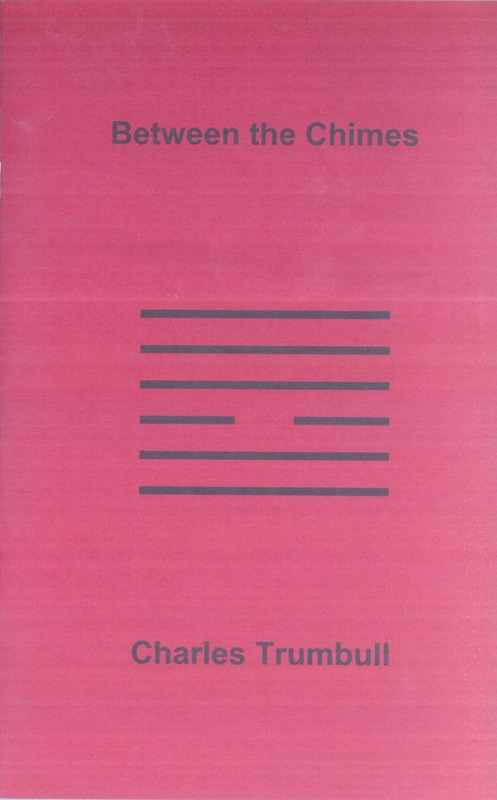 Wise, gentle, funny, and humble: that's some tall order in one poetry collection and #23 in the Hexagram Series from King's Road Press, Charles Trumbull's Between the Chimes, fits the bill.. Though a brief chapbook, at 14 pages with 32 poems, it displays all the qualities mentioned and is, indeed, very fine as a result. The poet's revelation is right on the page: the wave crashes, being as deeply philosophical as will ever be necessary in this life, snapping the poet to attention. The spirit of haiku comes from a deep, meditative-like attention to things and, when that attention wanders, frequently, if we are lucky, nature calls us back. There is a haiku about baseball, a subject I formally hated for poetry (until straightened out by Ed Markowski), two about graveyards, and another about elections. Election Day, it seems to me is a "holiday" which often is captured wonderfully in haiku - somebody should think about a small collection of election poems someday, if it hasn't been already done. This poem is exactly why I was wrong about baseball and haiku. What a beautiful little piece, drawing us into the nature element of the national past time and making sure that people know exactly what they are like. For some reason, probably obvious, I thought about the delicious tennis scene in Alfred Hitchcock's Strangers on a Train. One of two graveyard poems, "nearly dusk" is probably my favorite in the book. It is at once literal, figurative, heart-wrenching, and lovely. Also possibly dark, creepy, horrific and more. It's your half glass of water: choose. Really, someone should do a small collection of election day poems. This one is a beaut and would deserve a prominent place. Somehow, this poem feels like it should have been placed (by me) before the graveyard poem. One of the great virtues of these poems is their truth - they have a quality of the found poem about them, a satori-like state again in that true spirit of haiku of which this is a good example. Also, in this case, it happens to be very funny, especially for anyone who has had to suffer through emotionally charged meetings governed by the thin veil of civilizing influence which Robert's Rules provides. This fine ku catches the poet in the attentive mode - how often we miss the details in everyday mundane tasks such as standing in line, as suggested above in the wave poem. A perfect little moment here. This is another personal favorite - plainly stated. Four words, one moment, universal - live in it, dwell there, it's eternity. Again, another moment ensnared, a suggestion of time stopped, if just for an instant. One might think of this as the unmeasured moment. This is the heart of haiku, the heart of life, the breath held, in, out, rest ... live. When treading upon the tail of a tiger, if it does not bite you have success. For the weak to take a stand against the strong is not dangerous if it happens in good humour. 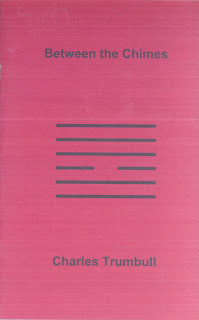 Looking back over the book and the poems highlighted in this post in light of the hexagram is potentially instructive. The hexagram gives fair warning, and also a potential approach to a hostile environment. Humor is a key; backing down not a particular option. As another bard so aptly put it, "it's life and life only." This week's poem comes from Lilliput Review, #177, December 2010. Enjoy. Mark, yes, these poems have a subtly to them that their humor may belie if one isn't given them the full attention they deserve. Glad you liked them. Don. H. F. Noyes: "raking aside leaves"